May-25-17 dumbgai: Sethuraman and Dzagnidze both lost to Chinese players rated 400+ points lower. There are some ringers in the Chinese league. Top Chinese players are chess professionals playing for the best Chinese chess teams (Division A of the Chinese Chess League). That's why their duty is to play for their teams in the Chinese Chess League (the longest running league, 22 rounds, from April to September). 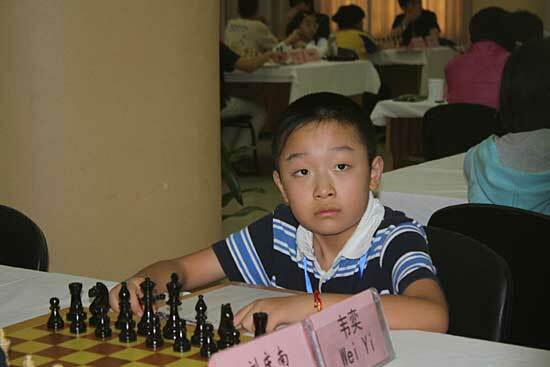 Wei Yi, who turned professional when he was only 12 years old and began to play chess fulltime (seven hours of chess training each day, combined with physical training) in December 2011 , is an illustrative example. As a boy he attended the Primary school in Wuxi, one of the bases of the Chinese Chess Association with excellent trainers and students. The Jiangsu Province chess team was looking for a new player for the Chinese Chess League and GM Xu Jun came to his school and asked for a young player with good potential, and they recommended him. Wei Yi thus joined the Jiangsu Province chess team (he was born in Yancheng, Jiangsu Province) and got a regular salary. At the ongoing 2017 Chinese Chess League he is still playing for the Jiangsu chess team. Hou Yifan also used to play for the same team, but she now has an independent career. cro777: Generally, the career of the top players is carefully planned (and fully supported) by the Chinese Chess Association. Some of them combine the professional chess career with university studies. An example is Ding Liren who is going to graduate this summer at the Peking University Law School. After graduation he will be fully focused on chess and we may expect great results from him in the future. Sokrates: Many thanks again, <cro777> for your insight. A question I would kindly ask you - when you use the word "professional" in this context, does it mean: being on a sort of payrole of the CCA/the state? or: being paid by the prices they may gain by winning tournaments etc.? A third way would be: financed by sponsors, state-owned or private. In the western sense of being a professional no state directly pays the player. <... Hou Yifan also used to play for the same team, but she now has an independent career. ...> Does this mean that Hou is free to join or reject her participation in any tournament, since she provides her own income. I am NOT having a political agenda here, since there are pros and cons for both being economical independent and being supported by your state. HeMateMe: I wonder why Ding would go to law school, if he's going to continue on as a professional chessplayer? Is there much demand for a 40 year old entry level lawyer in China? cro777: <Sokrates> Being "professional" in this context means: being on a sort of payroll, mainly of the chess team they are playing for. Besides, there are sponsors, prizes etc. As far as How Yifan is concerned, I have no precise information, but I think that she is pretty independent in choosing tournaments, coaches etc. Of course, she has always had support from the Chinese Chess Association. 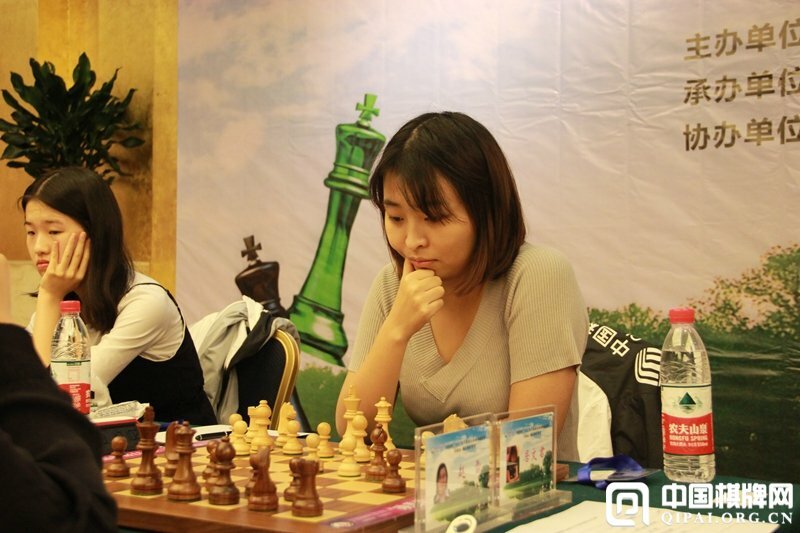 The Chinese Chess Association has already achieved three out of four main goals: China has the world women's champion, the world team champion and the olympic champion. Their main long range goal is to have the world (absolute) champion. At the moment they are mainly investing in the three musketeers: Ding Liren, Yu Yangyi and Wei Yi. Fish or bear�s paw � or both? Ding Liren is definitely going to continue on as a professional chess player. His goal is to become a world champion candidate. He admitted that it was very difficult to play top level chess and, at the same time, successfully study at the university. As the most recent example, after winning the FIDE Grand Prix in Moscow he rushed back to Beijing for some administrative stuff at the law school. An then immediately he had to travel to Lanxi to join his team at the Chinese Chess League. (He got a new nickname "aircraft carrier"). "You can't have both fish and bear's paw" is a popular Chinese figure of speech. In order to get something, you have to sacrifice something else. (A fish dish is an indispensible part of every Chinese family�s New Year�s Eve dinner. Bear's paw was a high-grade food in the past). Sokrates: Many thanks, <cro777> for your response, which clarifies a lot for me. I think it's an honorable task for every country to promote and encourage young players to advance in chess. Chess is an excellent training for the brain, and it should be integrated in public schools all over the world. Besides being effective it is extremely inexpensive and easy to implement - likely some of the reasons why the Soviets promoted it so intensively. However, it will become contra-productive, if it later becomes a restriction for the super talents - like the Soviets did erratically with players they didn't fancy momentarily. If they allow Hou Yifan, Ding Liren and their likes to blossom an prosper freely, they will gain so much more. May-26-17 Pedro Fernandez: Always <Sokrates> with their right articles. In particular, yes! <cro777> is one out of our talent in CG. For me, <Sokrates>, he and <kwid> forms the most strong pair, couple, of any on-line chess club, indeed their are fantastic! Just saying, lol! Sokrates: Thank you for your kind words, <Pedro Fernandez>. Much appreciated! Maybe they just don't care about Ding reaching 2800 just yet, and they rather him play as much as possible in order to get the most experience etc? And also use him to train the next generation and also make their chess leagues look good..
To them, i guess being over 2750 is enough. There's not any real diff between 2750 and 2800, it's just rating swings. Dings skill is still the same regardless of what elo he has at the moment. But yeah. He won't get invites to the super top tourneys if he only has 2700 like Bu Xiangzhi or something. May-27-17 botvinnik64: Does Casablanca memorial start tomorrow? �To get squares, you have to give squares.� Bobby Fischer. It appears the two women per team rule means that women only play each other. (boards 4 & 5 - is that correct?) this may be another reason why Yifan is not playing. Although I'm sure if she wanted too and made herself available she could become a 3rd women and take on the men. "Does Casablanca memorial start tomorrow?" Had no idea Casablanca had passed away. "Of all the chess sites in all the places on the internet, he walks into mine." May-27-17 JimNorCal: I'm shocked, shocked I tell you to learn that the usual suspects will "play it again, Sam" at the Casablanca Memorial. (Yes, I know "play it again" was not actually part of the movie dialog). The games (Round 1) at the 52nd Capablanca Memorial International Tournament start today May 27th in Matanzas, Cuba at 3:00 PM local time (9:00 CET). The main Elite Group is six-players double round robin (average elo 2656). Rating favorites are Ivanchuk, Shankland and Sasikiran. The record with most tournament wins is held by Vassily Ivanchuk with 7 titles (2005-2007, 2010-2012, 2016). This year Ivanchuk will fight for his 8th victory. Ivancuk�s opponent in round 1 is GM Ortiz Suarez (2570) from Cuba. Matanzas (the City of Bridges and the birthplace of rumba) is located on the northern shore of the island of Cuba, 90 kilometres (56 mi) east of the capital Havana. It is known for its poets, culture, and Afro-Cuban folklore. cro777: Correction! The Capablanca Memorial is taking place in Varadero, a resort town in the province of Matanzas, Cuba, one of the largest resort areas in the Caribbean. May-27-17 CountryGirl: Well, at first I was cheering loudly for Tan Zhongyi - I thought she was crushing all these name Grandmasters. But it turns out she's only playing other women. Maybe that's why Yifan Hou isn't here - she really wants to keep improving rapidly, and so prefers to play the men? morfishine: <Pedro Fernandez> its always uplifting to read your cheerful and positive posts! 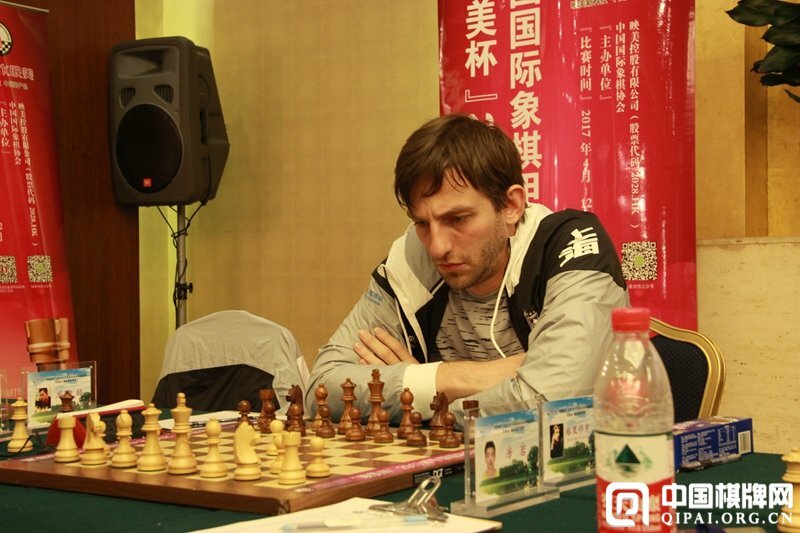 sonia91: Grischuk scored 3.5/4 playing for Shanghai in the third leg. He is now back to the top10 in the live ratings. cro777: The third leg (rounds 8-11) of the 2017 Chinese Chess League (Division A) took place from 26-29 July in Ningbo. WIM Gu Tianlu (2186) pulled off the big upset in the 11th round. She defeated World champion Tan Zhongyi (2517)! The next leg (rounds 12-15) will be held from 18-21 August in Wuxi League. The Beijing chess team (on the left of the picture): Yu Yangyi, Wang Yiye, Fang Yan and Zhao Xue and Wang Jue (on two women's boards). cro777: The fourth leg (rounds 12-15) of the 2017 Chinese Chess League (Division A) is taking place from 18-21 August in Wuxi, an old city in southern Jiangsu province, China. (The Shanghai chess team stars Alexander Grischuk and Ju Wenjun). Tabanus: 12 teams, each team with 5 players each round, 22 rounds. That's 5 x 6 x 22 = 660 games when finished. After 18 rounds: 540 games (so one game seems missing). Tabanus: This event is over. However, the last 120 games are once again put by some mindless machine into Chinese Team Championships (2017). Tabanus: Fixed! Now all the games are here. Some or all of the games from the real Chinese Team Ch in Beijing 6-14 June 2017 are in CG too. They have Event = CHN Team Men.